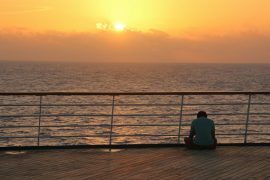 Carnival Cruise Lines are a great choice for everyone! 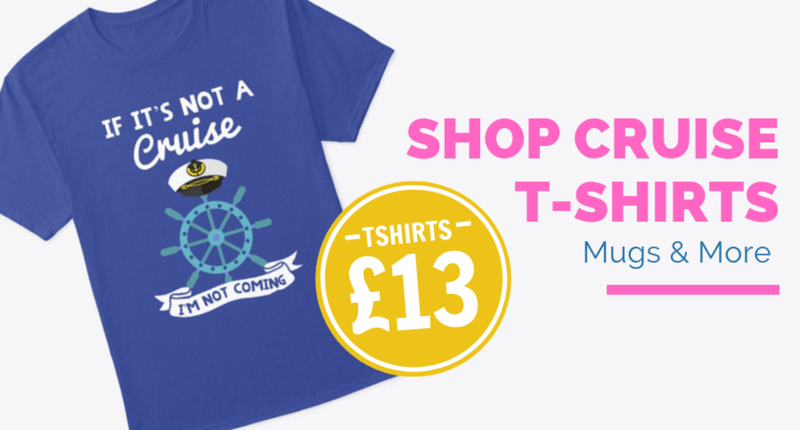 The whole family can have a fantastic time on board. 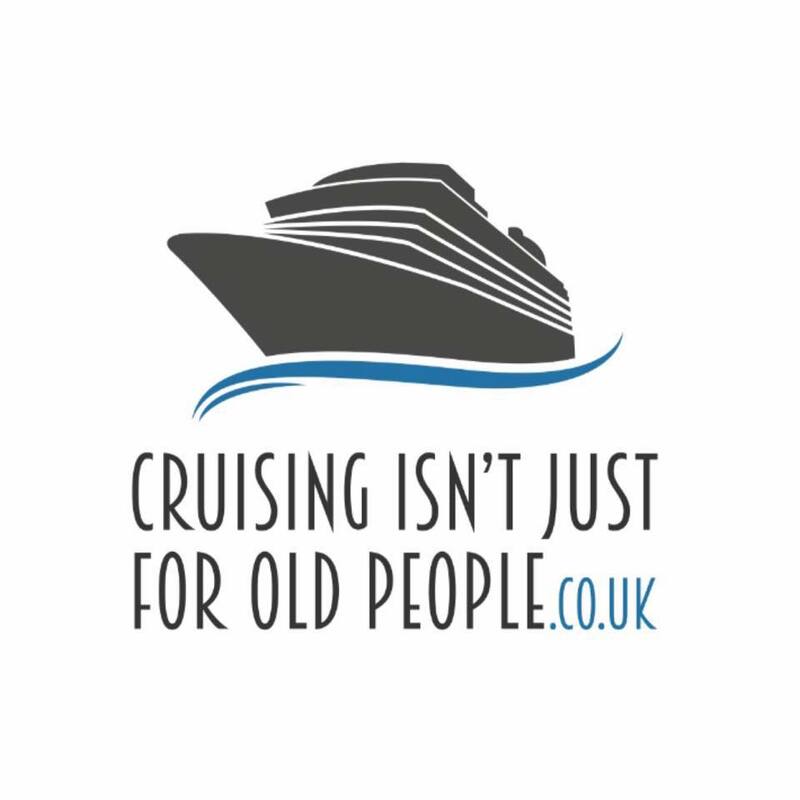 They sail all around the world with an ethos on fun cruising. I have been lucky enough to sail on board Carnival Sunshine & Carnival Vista (on her second ever cruise!). Carnival Cruise Lines are proud to be welcoming Carnival Horizon to the fleet in 2018. 1. That famous ship funnel! 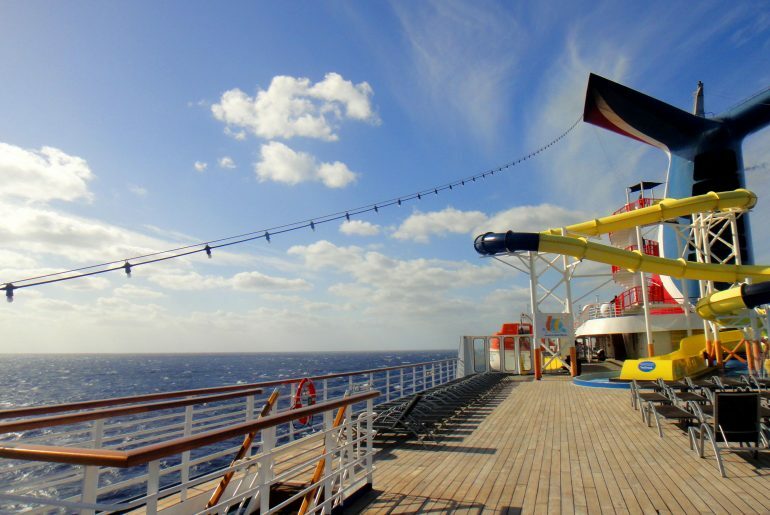 One of the most recognisable funnels in cruise ship spotting is Carnival! It’s red, blue & white and easily recognisable. 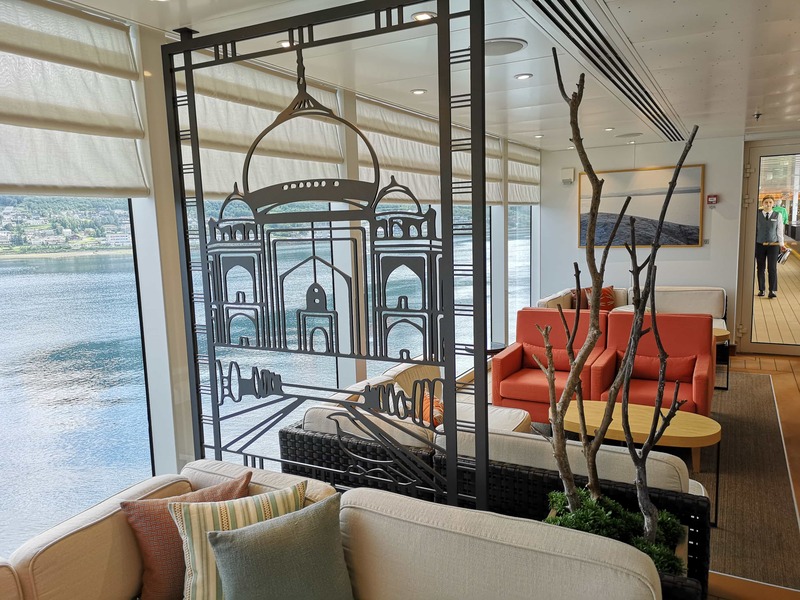 It’s been deliberately designed to be eye-catching, memorable and also to serve a purpose – allowing the exhaust flow away and over the decks, out of the way of passengers. The funnels are also featured on Carnival’s logo. 2. Skyride – Go peddling at sea! 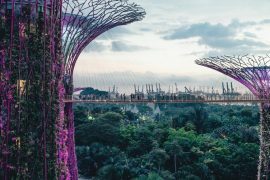 You have to try Skyride on board Carnival Vista – this is where you can pedal your way around top deck, racing your friends. You are literally suspended in the air at the top of the ship, great fun whether at sea or in port. The course is fun for the downhill parts but the uphill can be a struggle! 3. Go and watch a latest movie release! 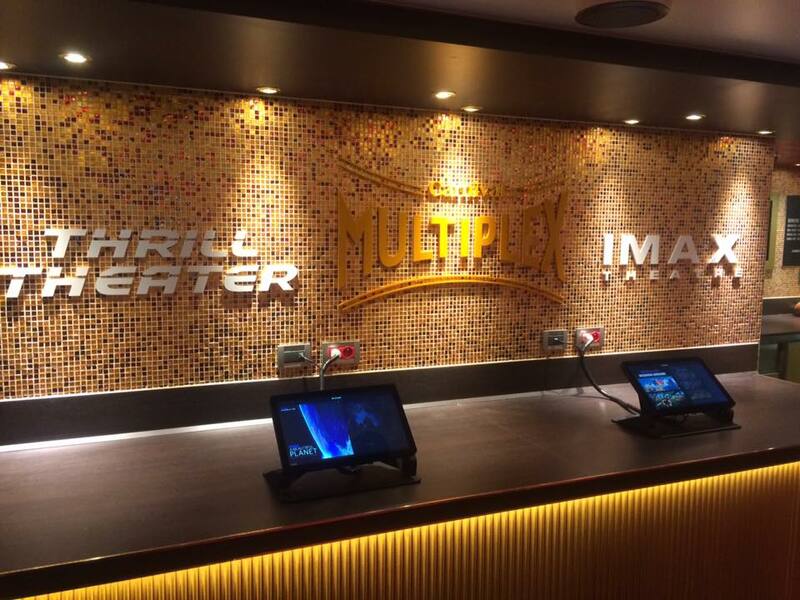 Yes there is an IMAX on board Carnival Vista – currently the only one at sea, yes I have tried it and yes it is amazing!! 4. Burgers, Burgers & more Burgers. Now as soon as you step on board, you must try a Guy’s Burger! Served on top deck by the pool, the cruise line have partnered with Guy Fieri to make the most amazing burgers at sea! There are toppings galore and a choice of burgers all served with those amazing chips too! 5. Enjoy a freshly brewed ale! RedFrog pub on board Carnival is very much laid back with a Caribbean theme. You can enjoy live music with a beer that has been brewed on board – how good is that! 6. Time to get wet! If its thrills and waterparks you are into, you are in for a treat! 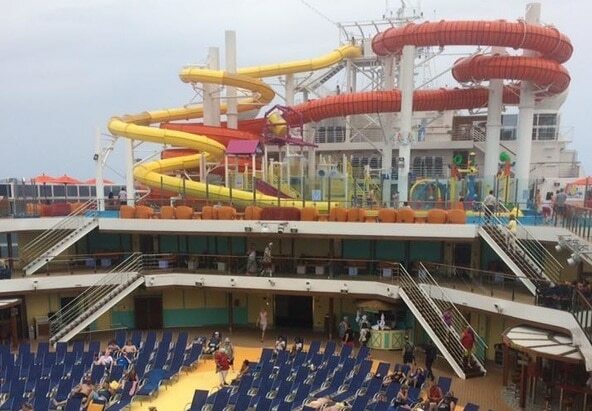 Carnival Cruise Lines have the most amazing waterpark for all ages with multiple slides, power drenchers, water shoots and fountains that will get you totally soaked! Do you have a sweet tooth? Well Cherry On Top is the first port of call for you. It’s like the most amazing sweet shop you could ever find, with candy, sweets, chocolate & plenty of souvenirs to take back home – well if they last the journey before you eat them! 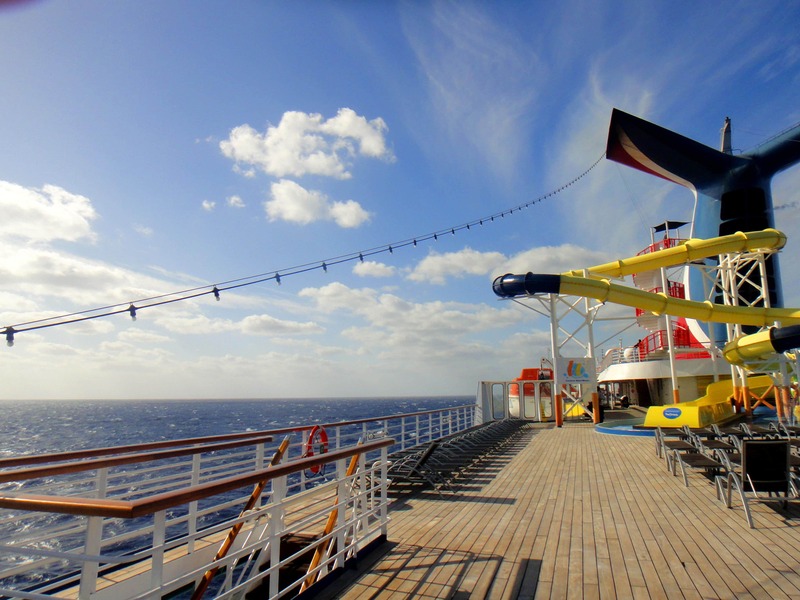 If you’re looking for a real family cruise try Carnival! The kids club ‘Camp Ocean’ the kids are all split up into kids of their own age groups so there is always something for them to do whilst you can be enjoying the facilities around the ship. There are interactive games, books, crafting and much more! 9. Grab a bite to eat! 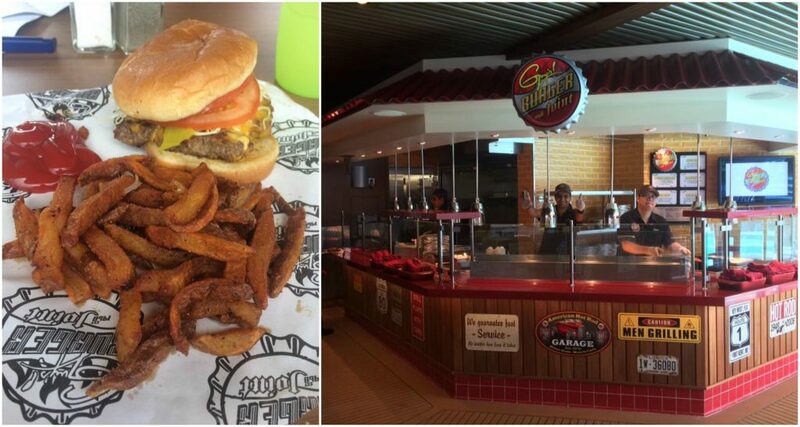 Ok, so we have already mentioned the amazing burgers, but did you know some Carnival ships have 19 different places to eat!! Now some of them are included in the price like the main restaurant, the Lido marketplace buffet and Guys Burger Joint to name just a couple. There is speciality dining at Cucina del Capitano, where the waiters sing to you and Fahrenheit 555, the best steakhouse at sea! Now I have experienced some deck parties on the cruises I have been on but I have never quite experienced anything like a Carnival deck party! Led by cruise director Matt, everyone is up on deck with glow sticks, music and lights for an amazing show! 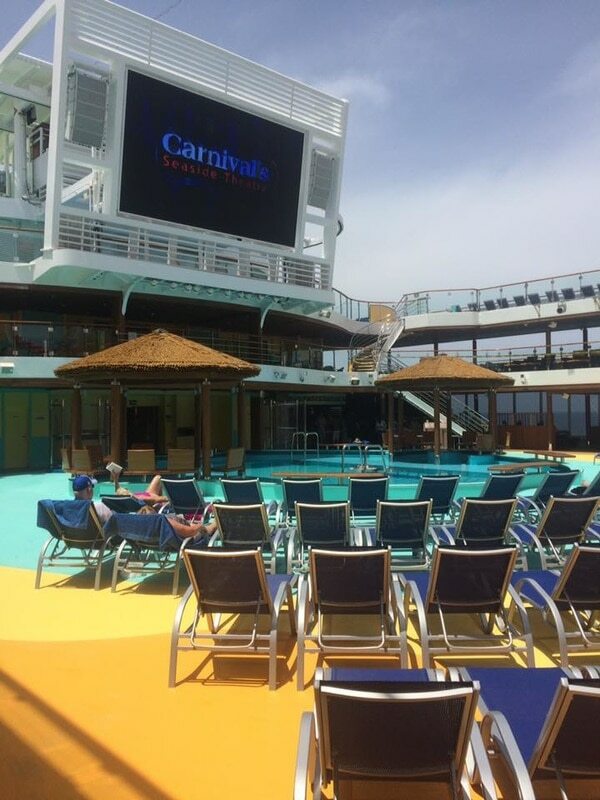 If you’ve never cruised before, the Carnival Vista is great for a first time cruise experience. You don’t need to dress up every evening for your meal, its relaxed and casual. There is fun for all the family from the moment you wake up until your head hits the pillow again, you can be as active or as relaxed as you want to be. The staff go that extra mile to make sure you have a great cruise experience. After the first day, members of staff were remembering my name, what I liked to drink and how I liked my steak cooked. It’s service like this and with so much included in the price of your holiday, that cruising is fantastic value for money. 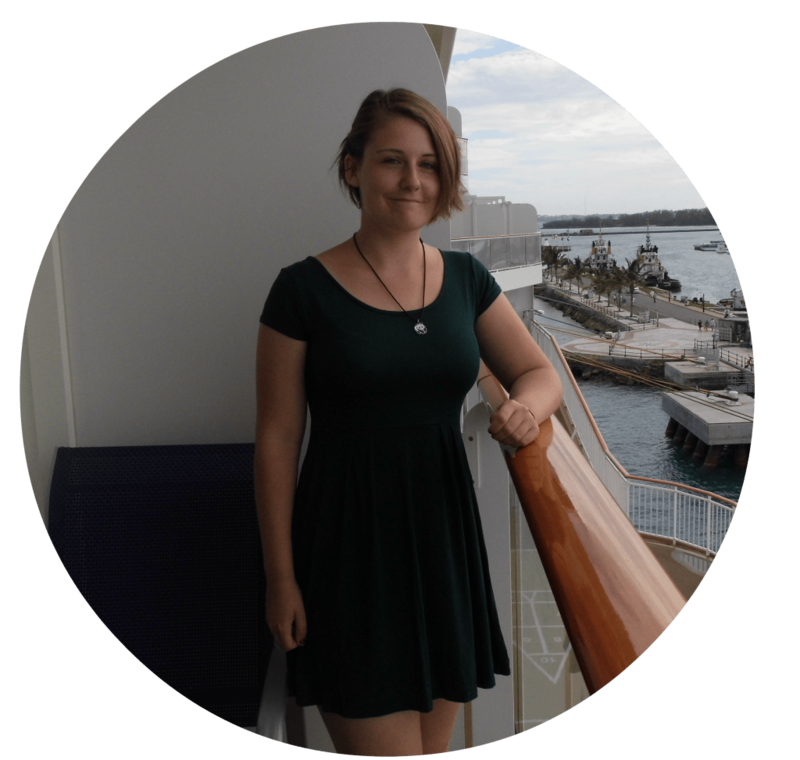 Emma says: After reading this I definitely will be keeping my eye out for a Carnival cruise! They’re American based and that is probably why I’ve never had the pleasure of bumping into one of the ships before. Those burgers look absolutely amazing and I would love to try the Skyrider. When I read the title ‘Go pedalling at sea’ I instantly thought about pedalos. The Skyrider seems like a much better idea. Thanks for this post Richard! 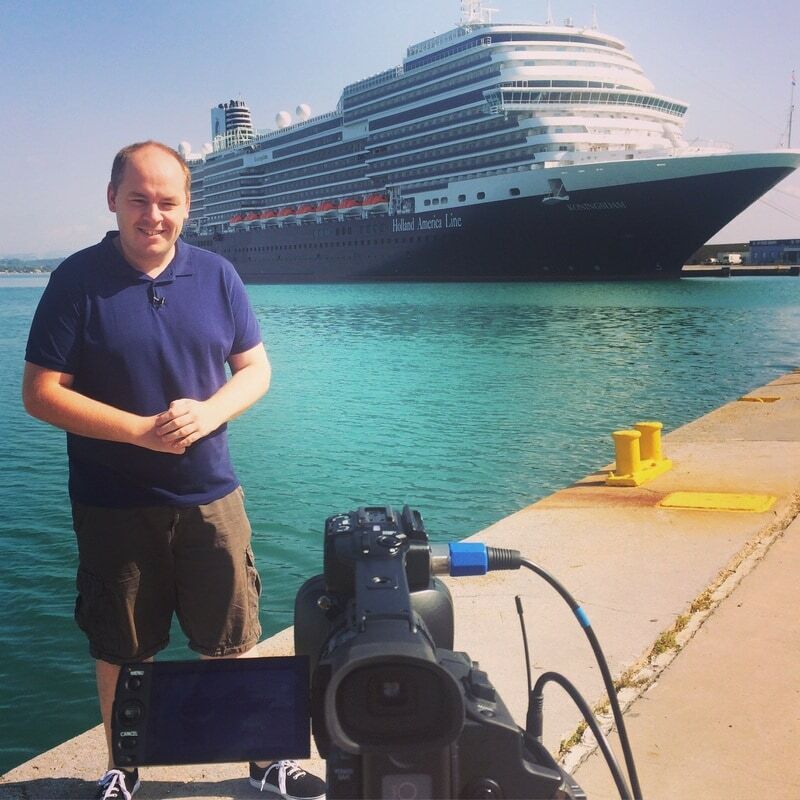 Richard is a blogger, TV presenter and voiceover artist. He has very impressive list of shows that he has worked on. Me too!! Glad you enjoyed the article..
You are right that Carnival is USA based, but until 2015 the Carnival Legend was sailing out of Dover and the new Carnival ship is going to be based in the UK at Southampton from later on this year I believe. 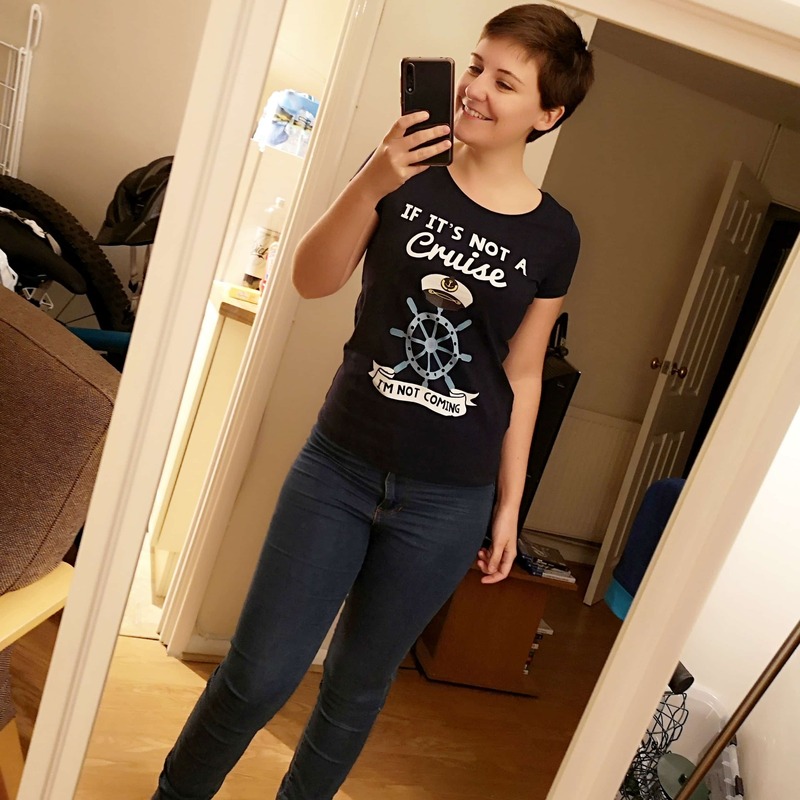 They are great ships and the food is terrific. Just don’t get mugged by Freddie the Funnel ;0) Service is second to none. When we were on the Legend in 2013 the evel of service was not what we had come to expect from Carnival and so we made our feelings known and we had our gratuities for the whole cruise refunded. They do listen if you are not happy with something. Some of their older ships are/were starting to look a little tired, in fact we were on the Legend just before she was due in for a major refit, but our first experience with Carnival was on the Glory and remains the benchmark by which all other ships are compared. So with the exception of RCi, whoever you cruise with, you are in reality cruising with Carnival anyway. I would love to cruise on Carnival, really would.